Datacal's infantry control keyboard labels put the most common commands at your fingertips. 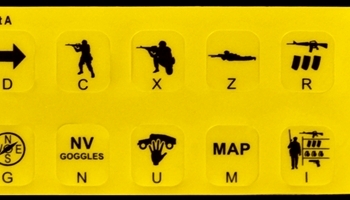 Made using durable Lexan polycarbonate and printed sub-surface, our labels are used by the US Army for Virtual Battlestation training purposes. Proudly made in the USA. Volume pricing available.